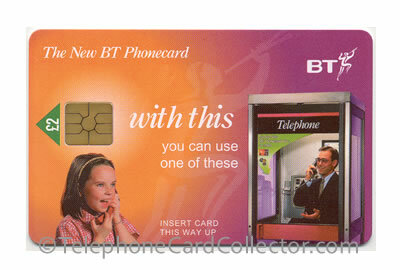 In 1993, three years before British Telecom (BT) introduced the new chip based telephone card, BT contacted various telephone card manufacturers to tender for the contract to supply and produce The New BT Phonecard (pictured right). Nine companies responded and produced samples for the tender adjudication process. 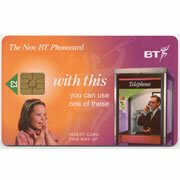 This webpage features the sample cards produced by GPT with full face printing (Example F cards). 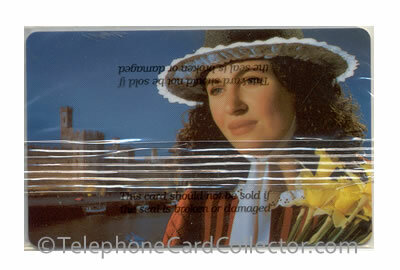 In addition GPT also submitted a full set of six cards without full face printing please see Example G cards. GPT's submission was complex, involving full-face printing and more conventional designs, in a variety of denominations. 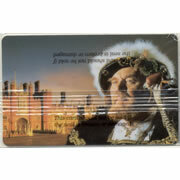 King Henry VIII : Wrapper has barcode 5 016351700037, and was printed £20 in yellow. There were 30 cards submitted. Beefeater. Wrapper has barcode 016351700020, and was printed £10 in dark grey. There were 20 cards submitted. William Shakespeare and Finn McCool Wrapper has barcode 5 016351700013 (both cards), and was printed £4 in pink. There were 50 of each card. 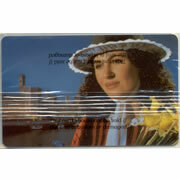 Scots Guard Piper and Welsh Folk Costume : Wrapper has barcode 5 016351700006 (both cards), and was printed £2 in blue. There were 50 of each card. 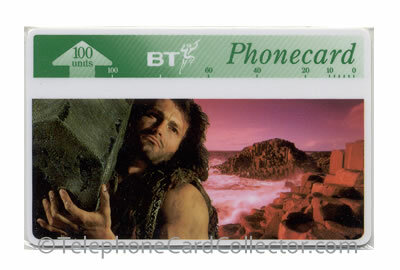 There were two further full face cards submitted, but with stickers attached to the card under the wrapping stating "SURFACE PRINT SAMPLE DO NOT REMOVE LABEL". 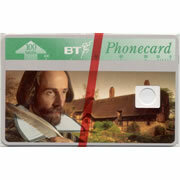 These cards were King Henry VIII and William Shakespeare. 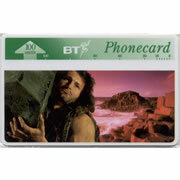 In all other respects these cards were identical to the cards mentioned above. 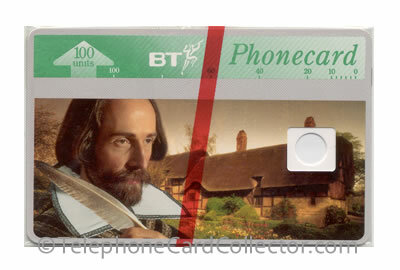 There were 40 of the King Henry VIII card, and 50 of the William Shakespeare. *Please note: None of the Beefeater cards were submitted to the adjudication with a sticker, it was only King Henry VIII and William Shakespeare that were submitted with the stickers. 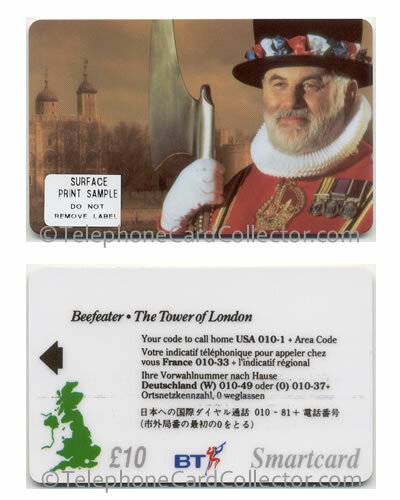 Pictured below - TTCF007 - Beefeater - £10 - matt finish - sticker - the front and reverse of the card are shown.